Are Brussels Sprouts Bad For You? - Here Is Your Answer. Are Brussels Sprouts Bad For You? Brussels sprouts are mostly good for you. The cruciferous vegetable helps improve bone, eye and skin health and may even prevent cancer. However, Brussels sprouts also contain vitamin K, which interferes with certain blood-clotting medications. Brussels sprouts get a bad rap for their bitter taste and pungent odor. 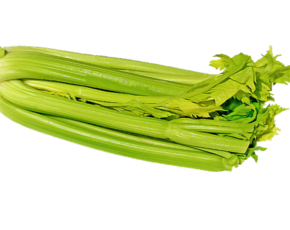 However, the leafy green vegetable offers many nutritional benefits—and if you prepare and season them properly, the taste and smell are fairly easy to get past. So what exactly makes Brussels sprouts so good for you? The USDA National Nutrient Database reports that a single one cup of raw Brussels sprouts provides three grams of protein, two grams of fiber and zero grams of fat for only 38 calories. 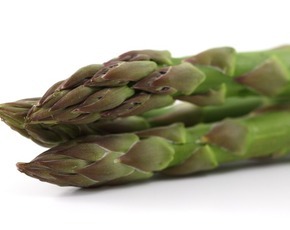 Yet despite being relatively low in calories, this vegetable is incredibly nutrient-dense. In the same one-cup serving, Brussels sprouts deliver nearly 200 percent of your daily recommended value of vitamin K, plus 125 percent of vitamin C.
Both nutrients are crucial to bone and tissue health. Vitamin K helps improve your body’s absorption of calcium, which is probably why high levels of intake have been shown to reduce the risk of bone fracture. On the other hand, vitamin C supports your eye and skin health. It provides greater protection against damaging UV rays, which can lead to vision loss, premature aging and even melanoma. And speaking of cancer, Brussels sprouts also contain sulforaphane—a super-nutrient proven to block a harmful enzyme linked to the progression of cancer cells. Since the mid-1980s, many different research studies have linked sulforaphane-rich cruciferous vegetables with an overall reduced risk of cancer. Eating more Brussels sprouts has a lot of perks—but unfortunately for those taking certain blood-thinning medications, eating too much can have serious side effects. Because while vitamin K does a lot of good for the body, it also contains blood-clotting factors which can counteract your medication, causing potentially fatal blockages. So if you have a blood disorder or are currently taking blood thinners, you should consult with your physician prior to adding more Brussels sprouts (or any food rich in vitamin K) to your diet. 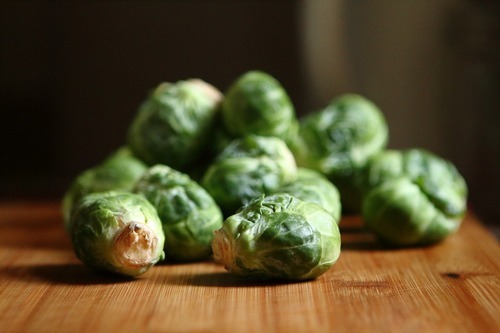 If you are cleared to get more cruciferous in your life, there are a few things you can do to improve the taste of Brussels sprouts: buy them fresh, keep them fresh and cook them properly. How do you know which ones are freshest? 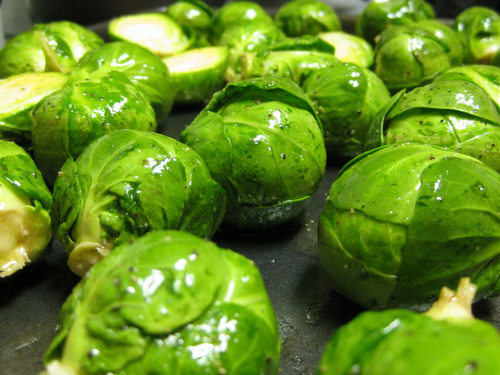 Look for Brussels with tight, firm leaves—loose ones falling off the sprout indicate that they are old. 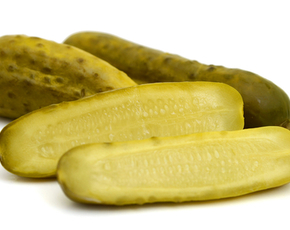 Once you get them home, place them in an airtight bag and refrigerate them. 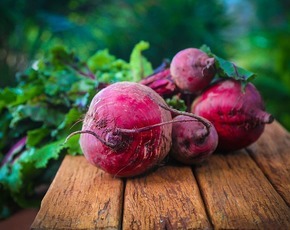 When you go to prepare them, consider roasting them, as this helps enhance their natural flavor. Overcooking Brussels sprouts (which is easy to do with boiling) makes them more bitter—plus you lose some of their key nutritional value.